AB Dynamics has developed a new torque reaction system designed to cope with the full 175Nm maximum torque that the SR150 can generate, but also suitable for use with the SR30, SR35, SR60 or SR60 Torus models. 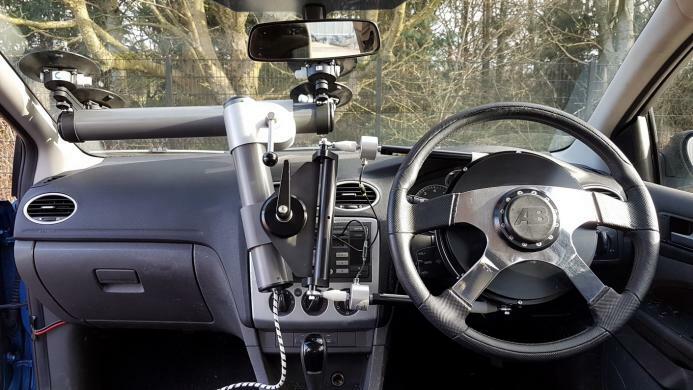 The system has been developed based on feedback from a customer using an SR150 steering robot in a tractor who wanted to retain torque measurement without needing a column torque transducer. The new torque reaction system can fit into all types of vehicles and has the advantage of not needing a strut in the passenger footwell. It also offers good straight-ahead visibility for the driver. AB Dynamics supplies driving robots to all seven Euro NCAP labs, NHTSA in the USA, Transport Canada, JNCAP in Japan, KNCAP in Korea and CNCAP in China.